Sweden, Norway and Finland are wonderful destinations for walking and trekking, with excellent hiking to be had the length and breadth of these vast countries. The Nordic countries have magnificent scenery, fresh air and clean water - and something very precious in the modern world: tranquility. You may find the silence broken only by the cry of an eagle, the hooting of an owl or the bark of a moose. 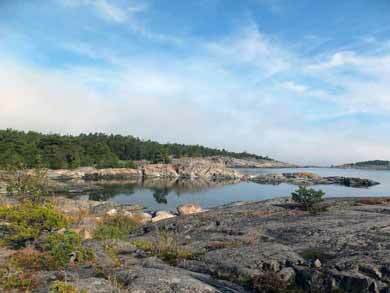 Nature Travels offers a wide range of guided and self-guided hiking tours with varying levels of challenge. Guided tours are ideal whether you are solo traveller or travelling with one or more companions, while self-guided hiking tours are perfect for those travelling as two or more persons. In the mountains of the far north of Sweden, choose from hiking options between mountain cabins on the world-famous King's Trail, whether you opt for the spectacularly scenic section between Abisko and Kebnekiase (Sweden's highest mountain) or explore other areas of the King's Trail and the surrounding national parks to the south. In Finland, the far east has quiet forests rich in wildlife and a guided tour with luggage transfers between accommodation, making your way along the Russian border towards the lovely Hossa National Park. Norway's Jotunheimen region is home to some of the country's most spectacular scenery (and in a country brimming over with spectacular scenery, that's quite something! 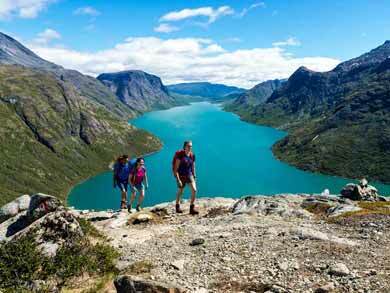 ), including the stunning Besseggen Ridge as well as many lesser-known areas. Our hiking tours here combine the adventure and challenge of mountain hiking with the convenience of luggage transfers between overnights. See also our range of Comfortable Summer Adventures for more options including hiking.